These 5-4 cases changed the direction of education policy and practice. You often hear the political adage that “every vote counts.” However true this is in state and federal elections, it has even greater implications in Supreme Court decisions. A 5-4 decision holds the same legal authority as a unanimous opinion, and these decisions are more enduring than statutes. It is historic when the U.S. Supreme Court reverses itself, as it did last term in Janus v. American Fed. Of Municipal Employees (2018), which overturned Abood v. Detroit Bd. of Ed. (1977). In contrast, when a federal or state statute is passed, it is not unusual for it to be amended, rescinded, or replaced by a subsequent session of the legislature. The state of Texas, like most other states, funded public schools through both state funds and local property tax revenues. Rodriguez, on behalf of himself and others, challenged the system as inequitable since those who reside in property-poor school districts had significantly less access to resources than those in property-wealthy school districts. In Texas, reliance on assessable property wealth caused a significant disparity between school spending in property-poor districts and property-wealthy districts. The U.S. Supreme Court did not use an Equal Protection “strict scrutiny” analysis to assess this disparity, noting that there is no federal constitutional right to public education and that this disparity was not focused on any “suspect” classification of students that warrants special legal protection. The Court thus upheld the funding system. Since the case did not recognize a federal constitutional right to education, school finance litigation has been relegated to state courts. This suit, alleging racial segregation in the Detroit Public Schools, was filed against the Michigan governor, William Milliken. The lower court ordered a desegregation plan that included Detroit and 85 surrounding school districts. However, the U.S. Supreme Court found that, without evidence of discriminatory intent, the surrounding districts could not be mandated to be part of the desegregation order. This decision ended the use of mandatory urban and suburban school busing for purposes of desegregation and encouraged the “white flight” from urban schools that was prevalent for the next two decades. Nine students were given 10-day suspensions from school. Ohio law did not require any hearing or fact finding before suspensions or expulsions, but for expulsions, the administrator’s decisions could be appealed to the school board. The students challenged the disciplinary action. The Supreme Court found that because the state of Ohio had provided access to an education, this state-created right was protected by the federal Due Process Clause. As such, some procedural process, although minimal, was required before a student could be suspended, even for less than 10 days. The impact of this case would be hard to exaggerate. Recognizing that students have a right to procedural due process as a part of public school discipline greatly changed school discipline and how schools perceived students. It is one of the most significant cases in education law. A Texas statute allowed the state not to provide funding to local school districts for educating undocumented students and children of undocumented immigrants. The local school district started assessing families of these students $1,000 in tuition to offset the cost of educating them. The Supreme Court found not that these children had a federal constitutional right to an education, but that they had protection under the Equal Protection Clause. The Court also found that any state restriction based on immigration status had to be based on a “substantial state interest” and that denying children an education due to their parents’ status and actions was not rationally related to any state interest. Thus, the statute and the school district’s policy were struck. However, because this ruling is limited to K-12 education, states are allowed to charge undocumented students out-of-state tuition for higher education. Contrary to the recommendations of the school and community, a New York school board ordered that certain books, including Slaughterhouse-Five, Go Ask Alice, and Black Boy, be removed from middle and high school libraries because they were deemed “anti American,” “anti Christian,” and “just plain filthy.” Students challenged this decision as a violation of the First Amendment right to free speech. The Supreme Court found that the board did not have the right to remove books just because board members disagreed with their content. To justify the removal, school boards must have a legitimate pedagogical concern. This standard has endured in challenges to school curriculum and book selections. Ohio enacted a tuition voucher program for certain students in the Cleveland City School District. Both religious and secular private schools were eligible, and 82% of participating private schools were religiously affiliated. A group of Ohio taxpayers challenged the program as a violation of the Establishment Clause. The Court upheld the voucher program, finding that it was neutral in terms of religion because the children and families, rather than the schools, benefited directly. This case opened the door for states to enact voucher programs that include religious schools. The Tecumseh (Okla.) School District began subjecting middle and high school students to a urinalysis as a condition of participating in any extracurricular activity. The policy was challenged as a violation of students’ Fourth Amendment rights to privacy. The Court upheld the policy, noting that the urinalysis was conducted in a minimally intrusive manner and that it was consistent with the school’s interest in deterring drug use. This expanded schools’ authority for drug testing, which had been previously limited to student athletes after the Supreme Court decision Vernonia School District v. Acton (1995). Drug testing of students involved in extracurricular activities is now relatively common. The Seattle (Wash.) School District allowed students to apply to any high school in the district. When schools were oversubscribed, the district used a system of tiebreakers to decide which students would be admitted to oversubscribed schools. The second most important tiebreaker was a racial factor intended to maintain racial diversity. A community group sued the school district, arguing that the racial tiebreaker discriminated on the basis of race, contrary to the Equal Protection Clause. 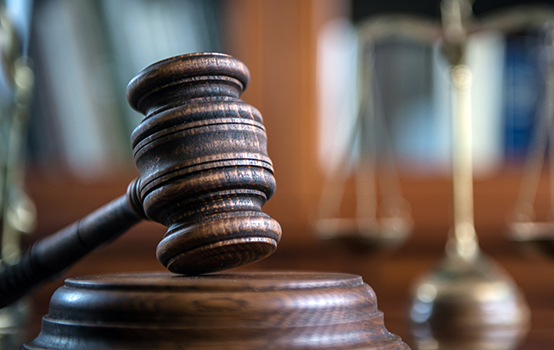 The Court looked to determine if the district’s process was necessary to a “compelling state interest” and if it was “narrowly tailored” to achieve that interest. It found that the racial diversity set forth in this plan was not a compelling state interest and that the method used was not narrowly tailored to achieve any educational benefit. Previous cases involving desegregation in education had indicated that racial diversity could be a compelling state interest. Justice Anthony Kennedy, the swing vote, wrote in a concurring opinion that racial diversity could be a compelling state interest, but that the plan in this case did not meet that standard. As a school activity, a group of Alaska high school students went to see the Olympic torch pass through their community. At the event, a student named Joseph Frederick held up a banner that stated, “Bong Hits 4 Jesus.” Deborah Morse, the principal, took away the banner and, following the procedural due process, suspended Frederick. Frederick challenged the disciplinary action. Decades earlier, Tinker v. Des Moines Ind. School Dist. (1969) had held that students had a constitutional right to free speech within schools as long as the speech was not substantially disruptive. In Morse, however, the Court put a clear limit on that ruling by finding that the school had the authority to censor student speech that promotes illegal drug use. Justice Clarence Thomas wrote a concurrence arguing that students should not have free speech rights in schools and that Tinker itself should be overruled. These are not all of the 5-4 education cases, only landmark cases. Each has had a lasting impact on national policy and school practice — and each hinged on just one vote. Citation: Underwood, J. (2018). Under the law: Every vote counts — and one vote can make an historic difference. Phi Delta Kappan, 100 (4), 66-67.